The first task is to identify what kind of car you want. Be honest with yourself and make sure you are realistically operating within your budget. Take into account servicing costs, fuel bills, insurance, road tax and any road tolls you may have to pay. Your final balance available may not be as big as you at first thought. Modern 'supermini' cars like the Ford Fiesta, Citroen C3, Volkswagen Polo and Vauxhall Corsa all offer the sort of space and refinement that our parent's luxury saloon cars used to offer with the added benefit of low fuel bills, especially if you choose to opt for diesel versions. With the vast majority of cars now available as diesel versions, the savings are plain to see and you'll get a better price for a diesel when the time comes to sell it on. Most first time buyers will look no further than their local franchised dealer, and if you want a low-hassle, safe way of buying a car this is still the tops. With nothing to part exchange, however, you may well find other avenues that can offer savings. Independent dealers can slash a lot from the sticker price of your chosen new car, but you may have to do a fair amount of phoning, web browsing and legwork, plus you may have to wait for some time and be prepared to compromise on the exact colour or trim level. An alternative is to shop at a car supermarket that has already done a lot of the donkeywork in bringing cars in from Europe or sourcing them in the UK. Although you'll have to pay a middleman's cut and still be restricted in terms of choice, there are some good savings to be had if you're not too finicky about trim and colour details. This is a biggie. If you're young, have recently passed your driving test, the Association of British Insurers are going to see you as a very bad risk indeed and ratchet up the price of a year's cover. There's little to be gained by piggybacking onto a parent's policy as a named driver as many insurers are wise to this and will not only ramp up the price of your parent's policy but you'll also run the risk of ruining their no claims bonus if you have a prang. The flipside of this is that you will be missing out on building a no-claims discount of your own, so the best thing to do is accept that it may be a few years before you can own something with a high insurance rating and plump for something modest. There are a few things you can do to help. Certain occupations will 'load' your policy and a certain degree of entirely legal vagueness can help when filling in your form. For example, a sub editor in a newspaper office would see his premium shoot through the roof if he called himself a 'journalist', but would remain at far more manageable levels as an 'office assistant'. Likewise, if you have two places of residence, it could well be beneficial to check which the insurance companies rate as a better bet. Tread carefully here, as a canny insurance assessor will not be amused to find you registering your car at a property where you are resident for only five per cent of the time. Get as many quotes as you can - as different companies may well vary wildly in how much they charge. Use one company's quote to beat another down in price. You'll often be asked what the best quote you've received is. Again, sometimes a little creativity can work wonders! 'Pass Plus' is a post-driving test instruction course backed by the Driving Standard Agency designed to help young drivers cope with the reality of driving in all conditions. There's no examination, but if the instructor is satisfied that you've cottoned on, you'll be issued with a certificate that can slash up to 25 per cent off your insurance premium with companies like Churchill, Direct Line and Norwich Union. This can be a minefield. You'll need to understand the difference between good credit and bad credit and realise that not having a pile of cash up front rarely diminishes your bargaining power. When you buy a car in finance, the dealer actually sells the car to the finance company, which, after deducting your deposit, pays the balance to the dealer in a day or so. In addition, dealers usually receive an administration fee from the finance company for the work they do in setting up the account. In short, your local garage will be just as keen to cut a deal, however you choose to pay. Take a little time to consider your options, however keen you might be to get behind the wheel. It might sound obvious, but be clear about exactly how much you can afford. Work out your monthly outgoings - miss nothing out - and subtract the total from your monthly income. Leave a small surplus to cover any extras - loan protection insurance and documentation fees for example. There's the period of the loan to decide upon too - usually one, two or three years. Obviously, the longer you take to repay, the more interest you'll end up having to cover; be clear about what you're taking on and opt for the shortest repayment period you can manage. Now it's a case of deciding which of the many means of financing is right for you - and be under no illusions; there are many, often embellished with fancy marketing names. Don't be put off by those; just ask which of the following categories are available. Conditional Sale - the traditional means of finance. You pay a deposit, followed by the balance (plus interest) in fixed instalments over a pre-determined contract period. As long as your payments are made on time and you keep the vehicle comprehensively insured and in good condition, then you own it at the end of the contractual period. Hire Purchase - here, you 'hire' the vehicle for a fixed period. During this time, you repay, by instalments, the total cost of the car, plus interest. At the end of the period, the vehicle remains the property of the finance company unless you pay an extra nominal 'option to purchase fee'. Personal Loan - of the type usually offered by banks, building societies, credit card organisations and some finance companies; there are plenty of options, so shop around. Depending on your status, you will have the choice of either a Secured or Unsecured loans. As the name suggests, secured loans require you to offer something (usually your house) as security against the possibility of your defaulting on repayments. This reduction in the lender's 'risk' factor usually makes these a little cheaper. Credit Sales - different from a personal loan in that the money is advanced for a specific purpose only - e.g. the purchase of a vehicle. You enter the Credit Sale agreement with the lender, who then pays the dealer for the car. You are then the vehicle owner and must pay the lender by equal instalments, including interest. Unlike a Conditional Sale, there is no security for the lender in the vehicle itself. Any remedy against default is with the customer. Personal Lease - until relatively recently, a business option only. However, as a result of recent changes in the VAT laws, it has become a private user's alternative. Here, you never actually own the vehicle, so never worry about depreciation. You would normally make an up-front payment (usually equal to three monthly payments) and then make monthly payments over the remaining period (usually one or two years in total). Afterwards, you simply hand the car back. Personal Contract Purchase Finance Schemes - Most of the major franchises now run Personal Contract Purchase (or `PCP`) schemes. These programmes offer lower monthly repayments by virtue of the simple fact that you're not actually paying off the full value of the car. * Pay the final payment and keep the car. * Return the car to the dealer instead of paying the final rental (providing the car has been maintained in good condition and/or has not exceeded the previously agreed mileage). This option, which would not be available under normal hire purchase, means that the manufacturer would take the sale price for the final payment and the customer would have nothing more to pay. The whole thing is based on a programme that enables the major makers to establish a guaranteed residual value for whichever model you choose. All you have to do is to estimate your maximum mileage over the term agreed. The only conditions are that you stay within the mileage band you've agreed upon, that the car is maintained in good condition and that you return it on time. 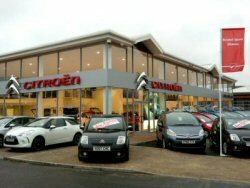 Most dealerships have found that the scheme has changed the perceptions of many buyers who thought that they couldn't afford a new car. Customers are happy and the industry develops a way of extracting full list prices for new cars from private buyers. Whichever finance option you decide upon, be clear about the credit charges you'll be paying; compare APR (Annual Percentage Rate) figures and if free credit (0% finance is being offered), check that there are no strings attached. Make finance work to your advantage - and don't assume that you necessarily need to own the car. Usage is what matters - and the easiest, most flexible and cheapest way to achieve it is what you're looking for. Check the terms of zero per cent finance carefully. The laws of supply and demand dictate that if a car needs to be shifted on the cheap there's a very good reason why. Often dealers use this short-term tactic to shift stock that's either very unpopular or coming to the end of its life. Either way you'll end up saddled with the bill in terms of depreciation when the time comes to sell. Certain manufacturers are known for their flexibility when it comes to bargaining and their ability to offer attractive incentives. Citroen and Mitsubishi immediately spring to mind but there are others. Young drivers can make big savings on periodical free insurance offers. Do your homework. Turn that guy in the shiny suit form a car salesman into a mere facilitator. If you know your onions, he shouldn't be able to 'sell' you anything. You're in charge! Don't be talked into specifying your car with hordes of options and gadgets as you'll only recoup a tiny fraction of this money when the time comes to sell. Whilst you won't lose your shirt on air conditioning, metallic paint and a CD stereo, pricey extras like satellite navigation, electric sunroofs and rear parking sensors won't add too much to the eventual value. Get an extended test drive if possible. Ensure you're fully covered to drive the car, make sure you understand the controls and choose a varied driving route. Compare the car with a competitor, never buy directly after taking your test drive and don't feel obliged to buy the car because the dealer was nice enough to let you drive it for the weekend. Once again, you're the boss. The 1.2-litre S version with comprehensive insurance is always going to be a better bet for a young driver than the 16-valve 1.8 GTi sport version that means you'll only be able to afford third party insurance. Think carefully about colour. Garish yellows and pinks can be difficult to sell on, whilst the industry uses terms like 'Doom Blue' to denote dull non-metallic navy. Silver cars are currently in vogue but avoid white when looking at small cars. Avoid brown and boring greens if you want the widest possible audience when the time comes to trade up.